Our most popular spike on the market to date. 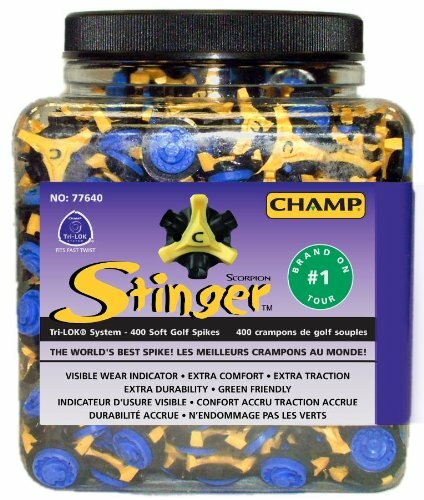 The Scorpion STINGER spikes are non-clogging and made with a soft durometer TPU for superior comfort and durability. Wrench holes formed in the rigid material hug a C visible wear indicator which turns solid when spikes need to be replaced. Primary spring-flex traction elements provide optimum gripping ability and a green friendly design minimizes marks on the green.